Barcelona has a great selection of restaurants, loads of variety and something for every taste and budget. 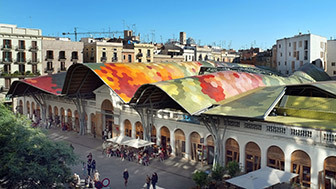 The Catalan capital is also the cradle of some of the most celebrated chefs in the world, including Ferran Adrià, Carme Ruscalleda and Sergi Arola. 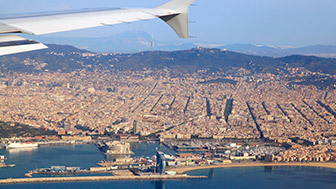 Few cities in the world can guarantee, in the way Barcelona does, a top quality gastronomic experience. What's on offer is a good example of the marvels of Mediterranean cuisine from Catalonia, a marriage between mountain and sea, meat and fish. But instead of resting on the laurels of tradition, Barcelona's cuisine has evolved and, thanks to its particular innovations, has become one of the city's best calling cards as far as the world is concerned. Barcelona exemplifies the gastronomic tradition and richness of a country that, for many centuries, has been a a stepping stone and which has soaked up the cultures of diverse civilisations. Going round the city allows you to discover a stream of new establishments representing culinary traditions from around the world. There is no doubt about it: Barcelona is a real paradise for foodies. Going out for a meal is by far the favourite leisure activity of Barcelona people. To see the truth in this, you only have to wander around the city's streets to appreciate the huge number of establishments dedicated to the restaurant trade. Many of these also have a terrace, because the natives of Barcelona love to eat outdoors. Barcelona is a city with a great culinary tradition. There are lots of old, historical restaurants, places where, unwittingly, the walls can tell you something about the city's history. In Barcelona we enjoy the tradition of getting together at midday and sharing a chat with friends over tapas, with an aperitif, traditionally vermouth, in hand. Now there are ever more bars and wineries trying to make el vermut, as it is known in Catalan, the best moment of the day. Catalan cuisine has lots of typical dishes that are still prepared and served today in many traditional restaurants. Food that can be tasted in establishments with a long tradition and even urban masies, old farmhouses that transport you to another time. A few years ago, the so-called "signature cuisine", also known as "haute cuisine", "creative cuisine" and "avant-garde cuisine", earned Catalan food an international reputation. And internationally recognised chefs, like Ferran Adrià and the Roca brothers, are very closely linked to some of the best restaurants in the city. With a history that dates back to the Middle Ages and a big variety of traditional confectionery, the art of cake and pastry making has always been big in Barcelona, as can be seen from the many historical and avant-garde patisseries. One of Barcelona's most typical traditions is having a cup of hot chocolate with a sponge finger melindro, long crunchy xurro doughnuts, a soft ensaïmada pastry, or a delicious croissant. Barcelona's xocolateries, or chocolate cafes, are part of its culinary and cultural heritage, characteristic of the good life its inhabitants enjoy. 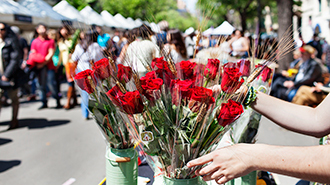 Barcelona has a network of municipal markets different from all others in Europe.